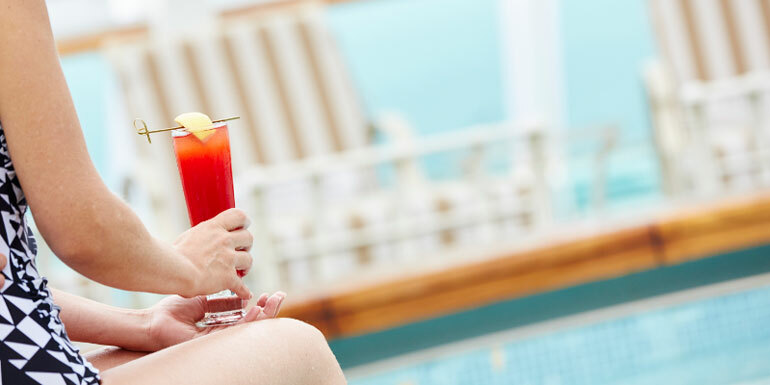 When you book your cruise, look for special offers like a free beverage package or onboard credit. For example, Norwegian’s “Free at Sea” deal offers a choice between five perks, and free open bar is at the top of the list. If you sail multiple times on the same cruise line, you'll earn "status" in the line's loyalty program. Once you reach a certain tier, you'll be invited to the loyalty parties. These events usually include free drinks. 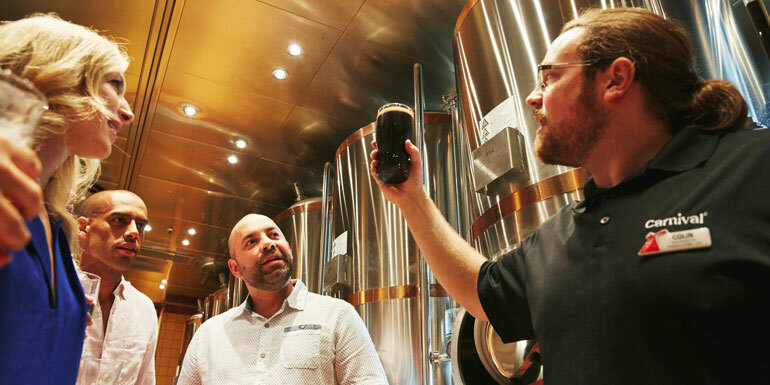 Some cruise excursions include visits to breweries or distilleries that offer free samples as part of the tour. 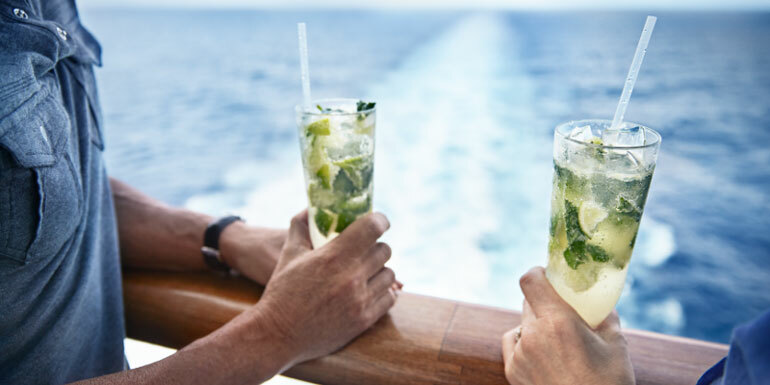 In many Caribbean ports, you can find “booze cruise” excursions that offer an open bar during your excursion, and some all-inclusive resorts booked through Resort for a Day have open bars or generous food and beverage credits. 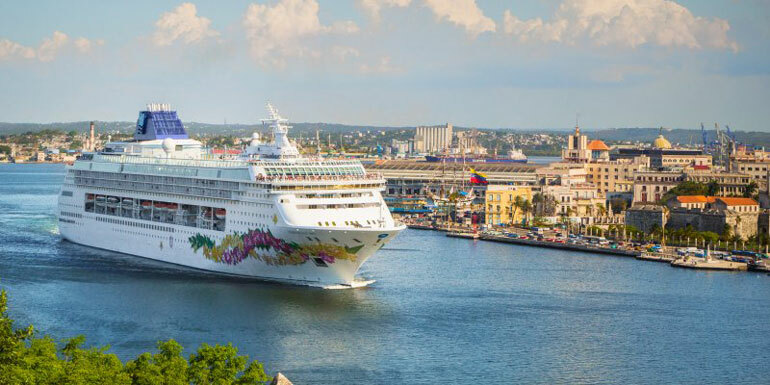 When you book a cruise aboard Norwegian Sky, your cruise fare includes unlimited open bar throughout the cruise. 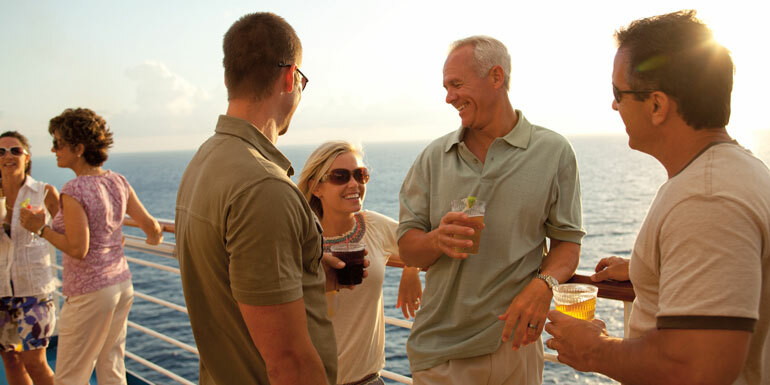 Sure, cruise fares tend to be a bit higher than on other ships, but it means no big bar tab at the end of your voyage. 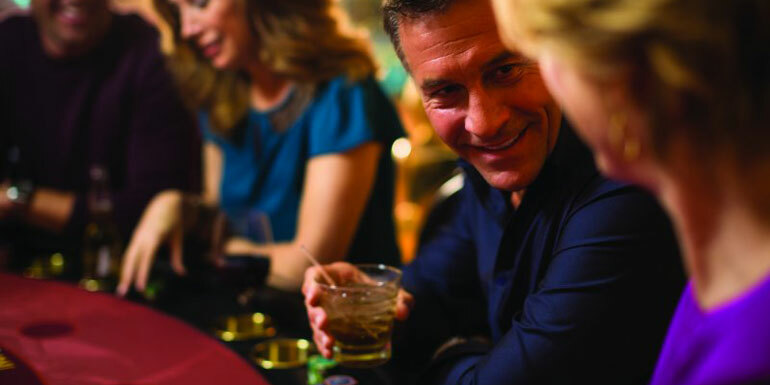 Booze doesn't flow as freely in a cruise ship casino as it does in Las Vegas, but if you're a frequent player or a high-roller, you may earn free drinks while you're playing on your current or a future cruise. Check with the casino host for the requirements. 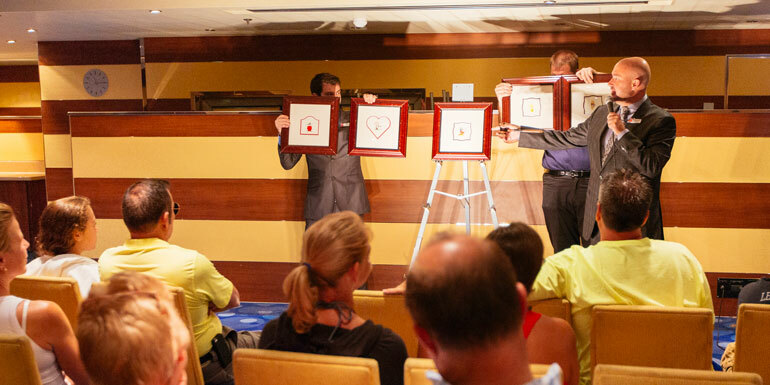 Art auctions on cruise ships almost always offer at least one free glass of champagne to all comers. The auctioneers hope the free booze will reduce your inhibitions and make you more likely to bid, but there's no requirement you buy - you just have to show up. 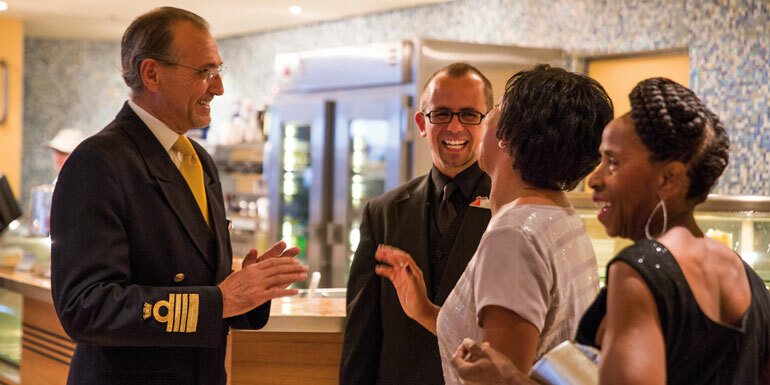 Most cruise lines offer a Captain's party, usually before dinner on the first formal night. The Captain will give a short speech welcoming guests, and waiters and waitresses will circle with trays of free drinks. 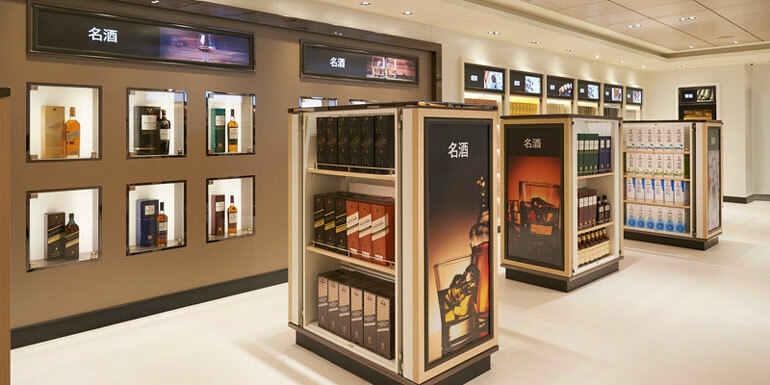 Duty-free shops on cruise ships sometimes hold events where they offer special discounts on alcohol and provide free samples. It'll be a small, thimble full of alcohol, but free is free, right? Most luxury cruise and river cruise lines include at least some free beverages. 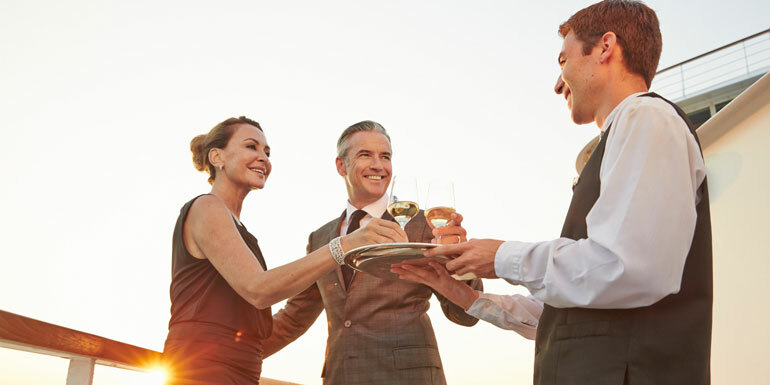 Luxury lines like Regent Seven Seas, Seabourn, and Crystal include an open bar, as does upper-premium line Azamara Club Cruises. On river lines like Viking, beer and wine are included with dinner. The service and dining will be far superior on these lines, but if you’re just in it for the drinks, it's probably not worth the significantly higher cruise fare. What other ways are there to get a free drink on a cruise?